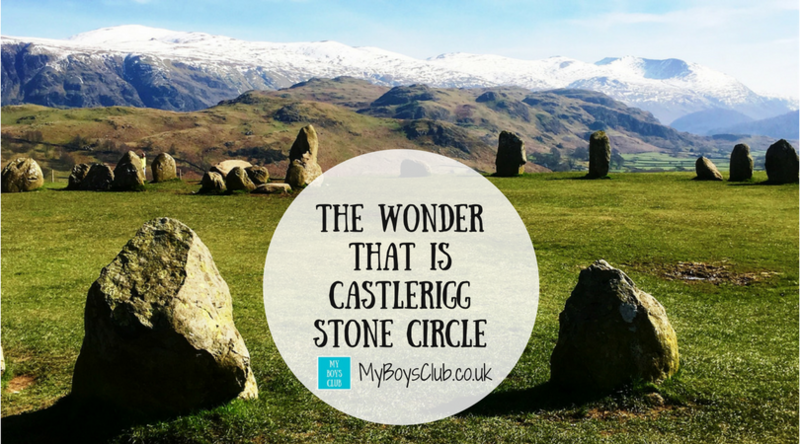 Have you been to Castlerigg Stone Circle? It is in the Lake District, located in-between Ullswater and Derwent Water, close to the town of Keswick. Less than a 2-hour drive from Newcastle-upon-Tyne - the drive is totally worth it. Castlerigg is thousands of years old. It’s old, even for a stone circle. One of around 1,300 stone circles in the British Isles and Brittany, it was constructed as a part of a megalithic tradition that lasted from 3,300 to 900 BC, during the Late Neolithic and Early Bronze Ages. I first visited as a child, then with a group of friends when we camped nearby, but on a recent trip to The Lakes, I thought the boys would love it too, so on the way to Keswick we stopped off. Totally spoilt by the clear blue skies and snowcapped mountains we were in one of the most picturesque places to be at the start of British springtime. It is set in the most dramatic and beautiful landscape. Castlerigg Stone Circle is thought to have been constructed in 3000 BC making it older than Stonehenge (erected in the late Neolithic period about 2500 BC) and one of the earliest in the UK. We also visited Stonehenge a couple of years ago and we and the boys really enjoyed it but here at Castlerigg although the stones are smaller you can get up close. Its also just a very short walk from the roadside where you can park. There are more than 300 stone circles in Britain, the great majority of them are Bronze Age burial monuments (dating from approximately 2000–800 BC) containing cremations in central pits or beneath small central cairns. Castlerigg though does not contain formal burials. 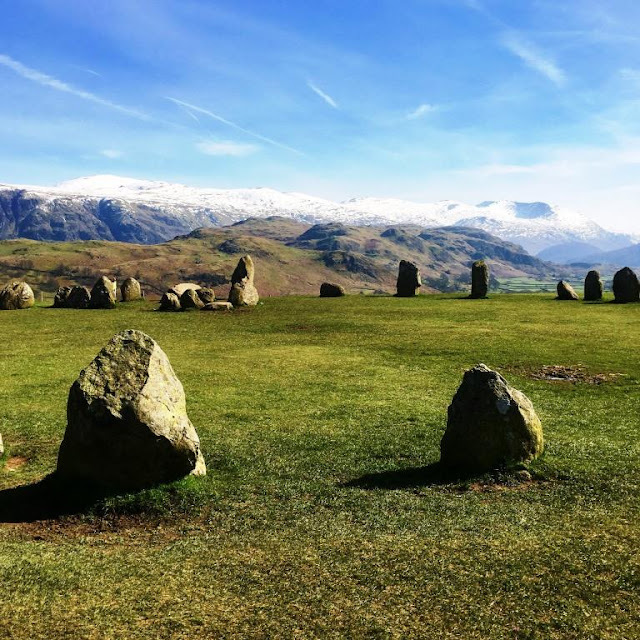 There are few stone circles in Britain in such a dramatic setting as that of Castlerigg, which overlooks the Thirlmere Valley with the mountains of High Seat and Helvellyn as a backdrop. Castlerigg is about 30m in diameter. It originally had forty-two stones; there are now only thirty-eight stones, which vary in height from 1m to 2.3m. 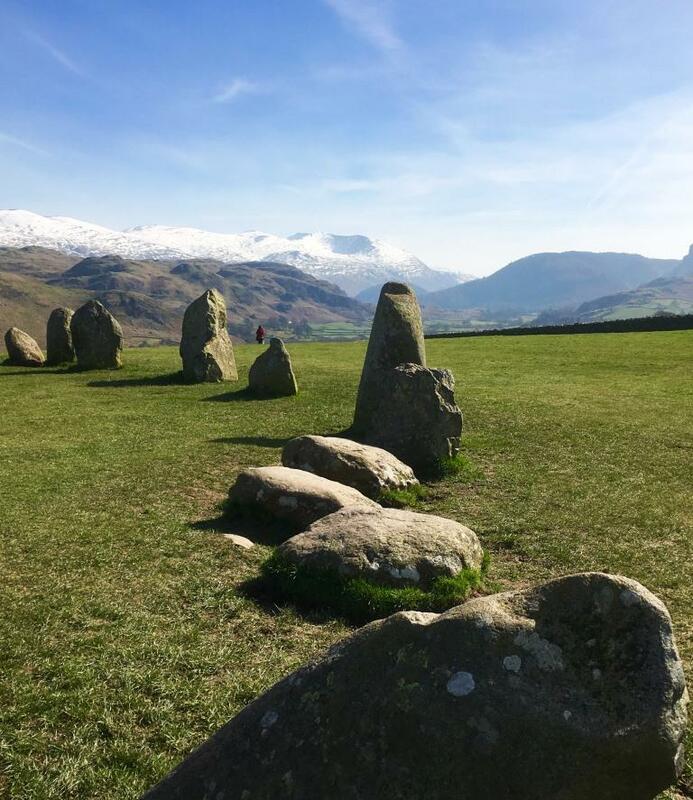 One of the more unusual features of Castlerigg is a rectangle of standing stones within the circle. 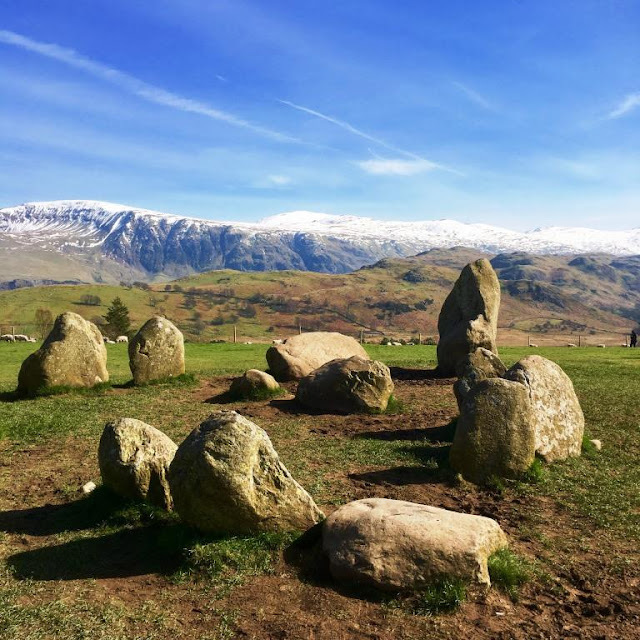 Every year, thousands of tourists in the Lake District travel to the site, making it the most visited stone circle in Cumbria - from about 65 in total. Since the 1700s, visitors have been both intrigued and inspired by this ancient monument and its impressive setting. 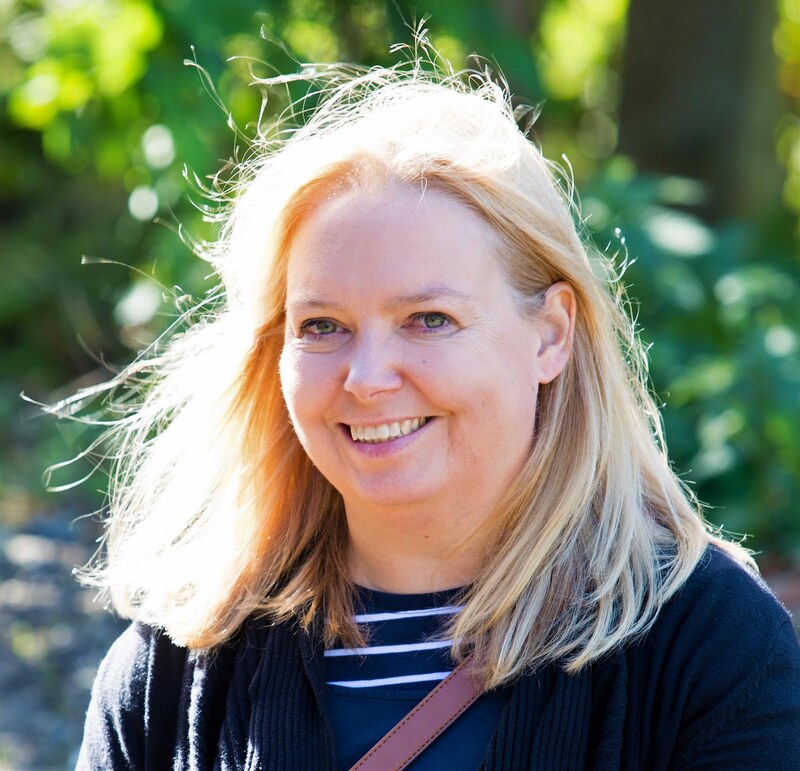 It is a stunning location that makes the stone circle so beautiful; on a flat-topped hill, surrounded by serious mountains, valleys with picture-postcard patchwork fields and white-washed farmhouses. From within the circle, it is possible to see some of the highest peaks in Cumbria: Helvellyn, Skiddaw, Grasmoor and Blencathra. Because of its position in the heart of the Lake District, right on the edge of Keswick, the circle attracts many visitors whatever the weather or season. Despite this it remains a truly magical place that draws one back time after time - and one that I'm sure we will be returning to again soon. Have you been to Castlerigg? Beautiful photos. It looks like one near to me which is close to Stonehedge. Those views are stunning! This is cool, I didn't know about it but would like to visit. Thanks. Beautiful photos - always good to get away from it all and away from all the tv, iPads...technology etc. I am planning on doing these types of days out with my girl as she gets older. We live in such an unhealthy world with all the gadgets these days. Fantastic photos! I visited Castle Rigg with my daughter a couple of years ago, we both loved it. Thanks for posting.